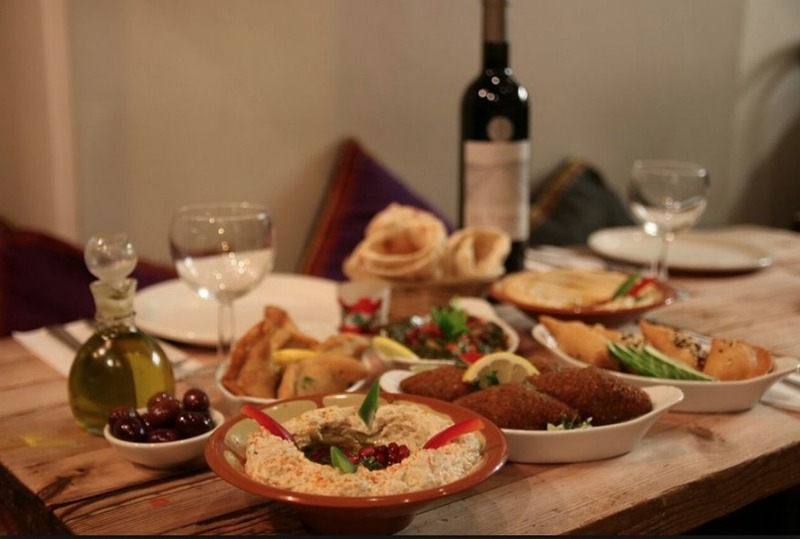 Get your own Lebanese spread at Meza in Tooting. London's expensive. but it'd needn't break the bank. Here are 20 excellent restaurants where you can dine out on a £20 note. You’ll be able to get a meal (starter and main, or a decent number of small plates) along with some booze for £20 — or sometimes well under — at all of the below. Our selection is spread across town and includes a variety of cuisines (not just those that are traditionally cheaper, such as Indian or Chinese). We have personally tried all the restaurants and highly recommend them. Originally a squat, this restaurant in picturesque Bonnington Square — just a couple of minutes away from less picturesque Vauxhall station — is now a restaurant co-operative. In the region of 20 different cooks take it in turns to head-up the kitchen, taking residency for the day and preparing their own menus. You need to contact said chef directly to book or to make enquiries about the menu (their details are on the website), but you’re rewarded for your efforts with mains for £8 and starters and desserts for £3. Plus it’s BYO with no corkage - just 50p per person for glass hire. With so many rotating cooks it does have a tendency to be a little hit and miss — but that’s all part of the gamble. 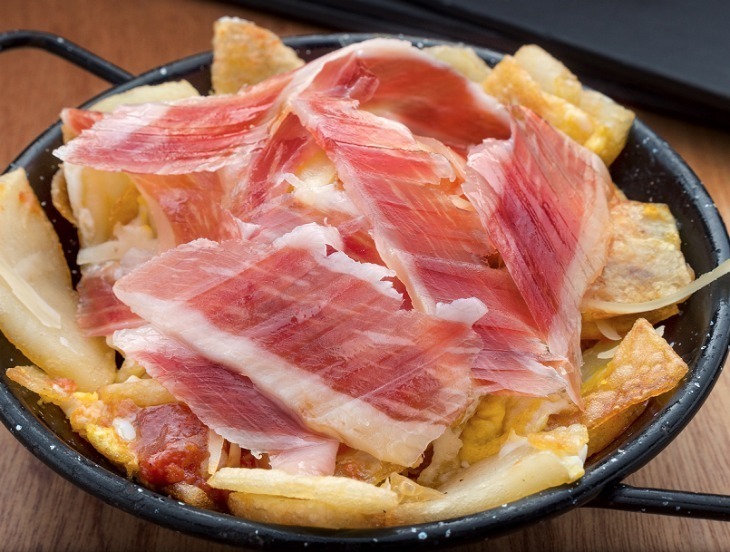 There are now two branches of this tapas chain — the original on Acre Lane near Brixton, and a second branch on Queenstown Road in Battersea. Its small plates aren’t as small as in many restaurants, and its list of wines and sherries is also well priced with a number of by-the-glass options. While the selections of hams and cheeses are tempting, steer towards gutsier offerings of tortilla, grilled octopus and oozy croquetas for a high-quality Hispanic feast at low prices. 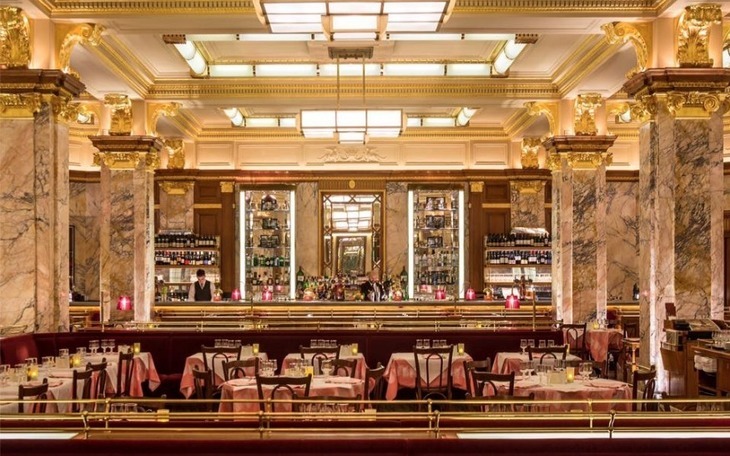 This grand Parisian brasserie a stone’s throw from Piccadilly Circus offers a prix fixe menu all-day, every day. This means you can get two courses for £9.75 or three for £12.75 with slick service and bustling atmosphere included. It’s not just any old grub either. Run by Corbin & King — the restaurateurs par excellence who founded The Ivy and are behind The Delaunay, The Wolseley and Fischer’s among others — it serves some of the city’s finest French food. Brasserie Zedel serves great value food in very grand surroundings. Photo: Zedel/Facebook. Just a fishbone’s throw from Clapham Junction station, Fish In A Tie serves up loosely-Mediterranean dishes with less of a solely seafood focus than the name suggests. It’s old-school to the hilt with hanging chandeliers and outlandish decorations, but this all adds to the charm. A two-course menu comes in at £12 and is available every evening — think calamari or carpaccio for starters, and fishcakes or pork escalopes for mains. Wine starts at £13.50 a bottle. These guys are pizza obsessives, starting out by venturing on a pizza pilgrimage (see what they did there?) in order to work out the best methods for making their now famous discs of dough. 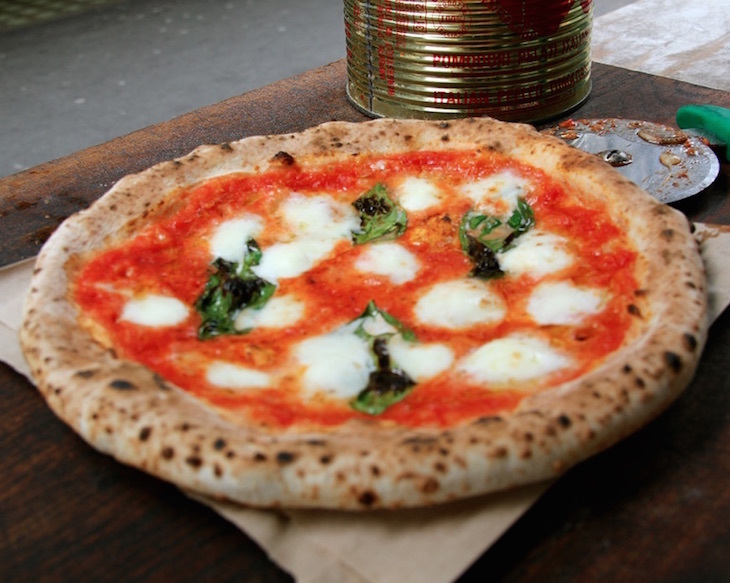 They top them with the finest quality ingredients too, and you can get your hands on a basic marinara for just £5.50 and a dessert 'pizza ring' of Nutella and salted ricotta costs the same. How much dough can YOU handle? Try an ice cold Pococello - their own brand Limoncello for just £3.50. There is a whole host of cheap and excellent quality Turkish restaurants around the Green Lanes area — see our pick of them here — but Gökyüzü is probably the best. As well as boasting richly flavoured, traditional food, it also has friendly service and a bustling atmosphere. Meze plates start at £4.50 and charcoal-grilled kebabs at £8. This place is especially good value if you come in a group and fill the table with dishes to share — even the ‘small’ portions are pretty hefty — but the restaurant will lay on superlative amounts of flatbread, salad and dips either way, meaning it’s nearly impossible not to leave with a barely touched wallet and a very full stomach. Either book in advance or be prepared to queue. Set in the basement of The Heron pub just off Edgware Road, this understated — and frankly tatty looking — restaurant is widely hailed as one of London’s most authentic Thai restaurants. While there’s plenty of room to argue about what authenticity actually means, we can say with confidence that the bold flavours here are mind-blowing. Tuck into hot and sour soups, spicy sausages, duck tongues and som tam salads — but do be prepared for some serious spice, and don’t expect to see a green curry on the menu. Most main dishes are under a tenner and all are generously sized, so sharing is recommended. As an added extra, karaoke is thrown in for free with microphones handed around tables from 9pm. Come for big flavours and big fun. 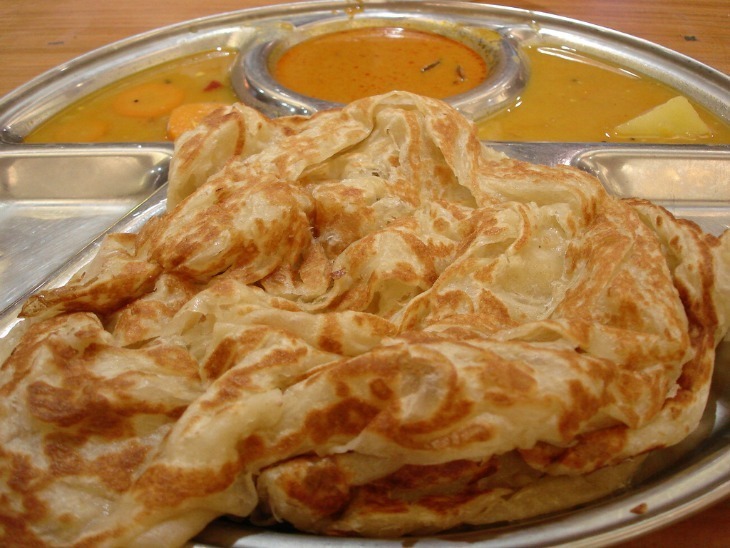 This no-nonsense, no-frills, basement Malaysian restaurant turns out truly stunning roti. A type of flatbread used to mop up any number of rich, satisfying curries, we bet you'll be hard pressed to find flakier in London. Make sure you're ordering from the roti menu before you begin, and dunk it into a soothing mutton curry (our favourite), remembering to save a little to wipe the bowl clean. You'll be hard pushed to spend more than £15, too. 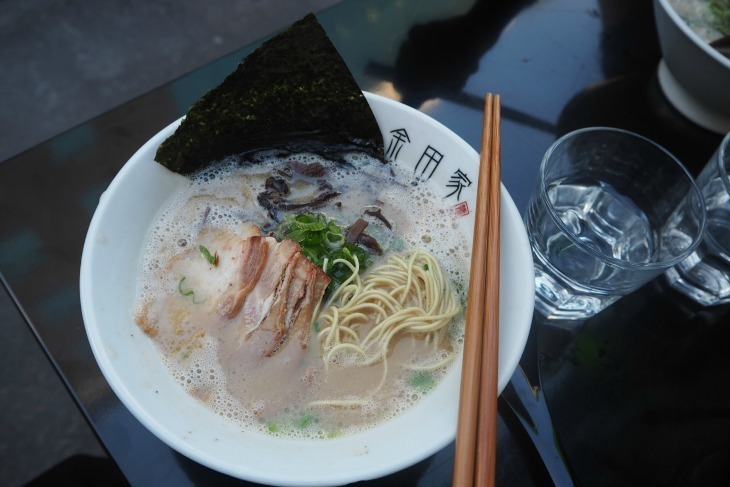 Ramen joints have popped up across London and are continuing to do so. As well being perfect winter-warmer fodder, the noodle soups also tend to make pretty cheap and filling dinners. We reviewed both Japanese ramen restaurants Ippudo and Kanada-Ya when they each opened their first London branches almost simultaneously, and completely fell for Kanada-Ya. Offering a fun, boisterous atmosphere and ramen from £10 right in the centre of town, there’s little not to love. Kanada-Ya by Summer Tan on Flickr. A bowl of udon starts at £6.90 at this popular Soho noodle bar, and they are hailed as some of London’s finest. The larger Koya may have closed its doors for good but this little offshoot remains, and they serve some wonderfully different and soothing bowls, including an always-fun daily special. You can choose between hot or cold options and add numerous meaty, fishy or vegetable toppings for a little extra, while a house beer or glass of wine is around the five pound mark. What started as a little corner space in Brixton Village has now expanded to four branches. 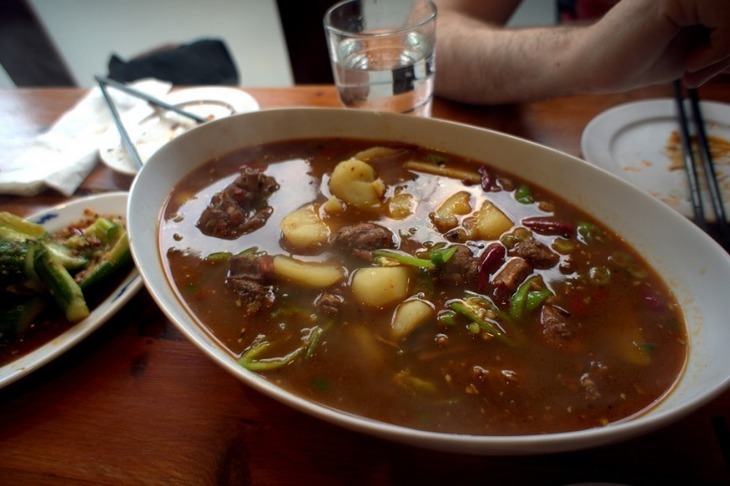 The food is the same with noodle dishes, pork buns and meat or vegetable-filled Beijing dumplings among the highlights. Try the garlicky smacked cucumber too. Be aware that there are no reservations so be prepared to queue on busy nights. 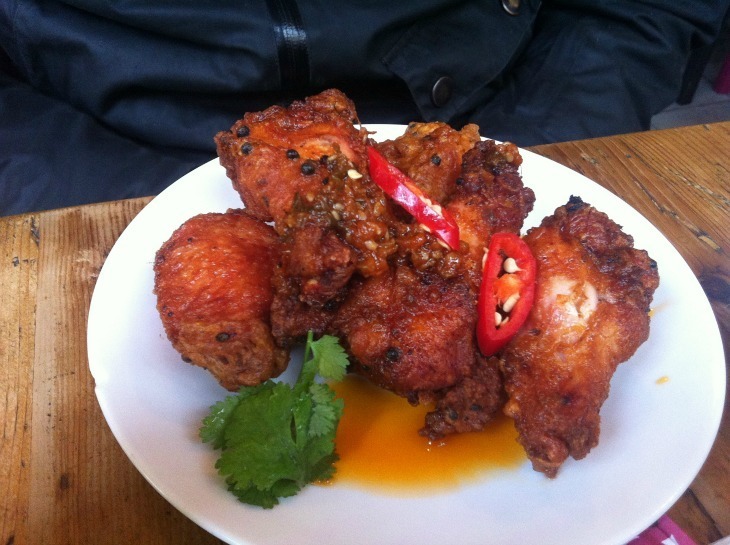 Spread your wings and fry at Mama Lan. It probably won’t surprise you that a restaurant set just off the Elephant & Castle shopping roundabout is pretty cheap but the quality of its offering might do. Mamuska is all about Polish fare, dished out in canteen style (grab a tray), so don’t expect anything too refined, but hearty portions costing between £3-6 for starters and £8-10 for mains are richly flavoured, well-cooked, traditional and enjoyable. Between £4-5 will get you a glass of wine, beer or cider or a double shot of Polish vodka. Meze is the order of the day at this intimate restaurant tucked away in a part of south London known mainly for curry houses. From hummus to Merguez-style sausages, brilliantly crisp potato bites and many a vibrant salad, dishes are made with love by an ex-West End chef but cost far less than you would pay in that part of town. They start at under £4 and head up to £12.50 with most under a to tenner. 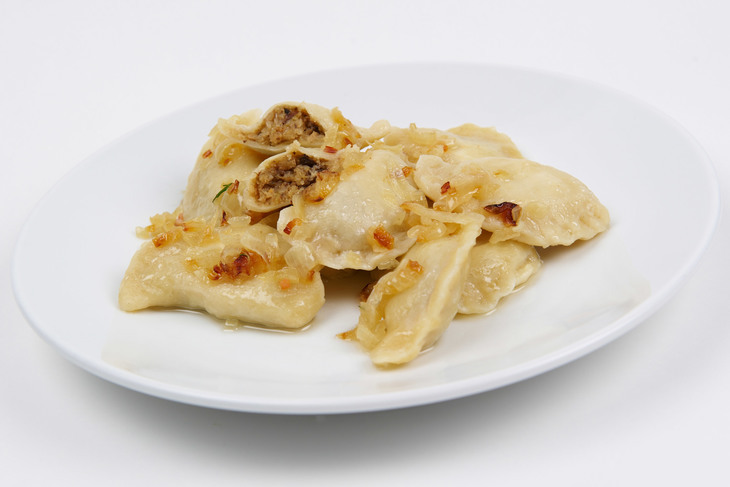 Pierogi - dumplings. Image courtesy of Mamuska! A training restaurant that’s run almost entirely by catering and hospitality students from nearby Hackney Community College, the prices here are presumably kept low so that expectations match them. The result is that generally intricate and carefully-executed starters of around a fiver and mains under a tenner are brilliantly bargainous. Dishes tend towards modern British and French-influenced numbers, but the short menu changes regularly so check ahead if you’re fussy. Don’t be put off by the fact that service isn’t as accomplished as it could be — it’s run by people in training, after all. The restaurant is open for lunch every weekday and for dinner from Wednesday to Friday only, with last orders at 8pm. It’s completely closed out of term time. Middle Plate Chicken at Silk Road. Photo: Lizzie Mabbott. Tapas and cocktails are at the heart of this trendy hangout in Brixton Market. Small plates of classics such as pan con tomate, calamari, chorizo skewers and charcuterie platters feel Mediterranean in price as well as flavour with many a dish coming in at the £3-4 mark rising only to £20 for a large sharing platter featuring hams, cheeses and plenty more. Many of the cocktails are just £5-6 too. This off-the-beaten-track north-west Chinese restaurant has built up quite a following for its traditional and cheap cuisine. Highlights include dumplings, which are juicy within, slightly crisp outside, packed with beef mince and cost £4.50 for around eight; lamb skewers which alternate meat with fat and are dusted in cumin; and ‘big plate chicken’ — a spicy chicken stew. Cheap beers and wines are the cherry on top, resulting in a meal that’s ideal for group-sharing and unlikely to cost much more than £15 a head. 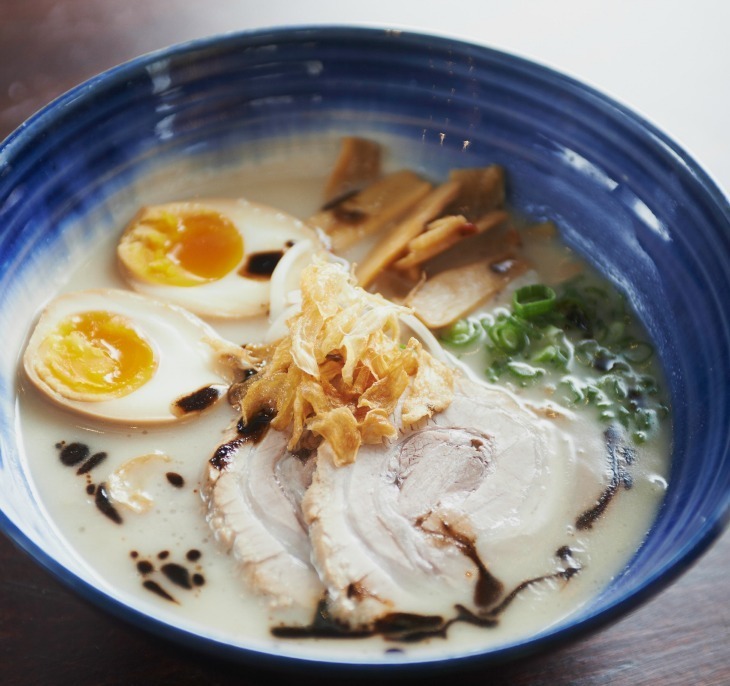 Tonkotsu may be a mini-chain now but they've kept up quality, and really know their stuff. A bowl of their tonkotsu (pork) ramen is so filling and intense, we'd be very surprised if you're not satisfied afterwards (£11). Having said that, their pickled cucumber at £3 is rather lovely on the side, as is a selection of London and Japanese brewed beers, all around the £4 mark. Something of an institution, this north Indian restaurant and grill has been around since 1972 and its ultra-tender lamb chops are among the best you’ll find in London. Its dals, curries and naans-as-big-as-your-face also come highly rated. Be warned that if you don’t book then you’d better be prepared to wait in line. And if you do book, you may still have to wait. Starters begin at £4 while most mains are well under £10. They’re big, too. 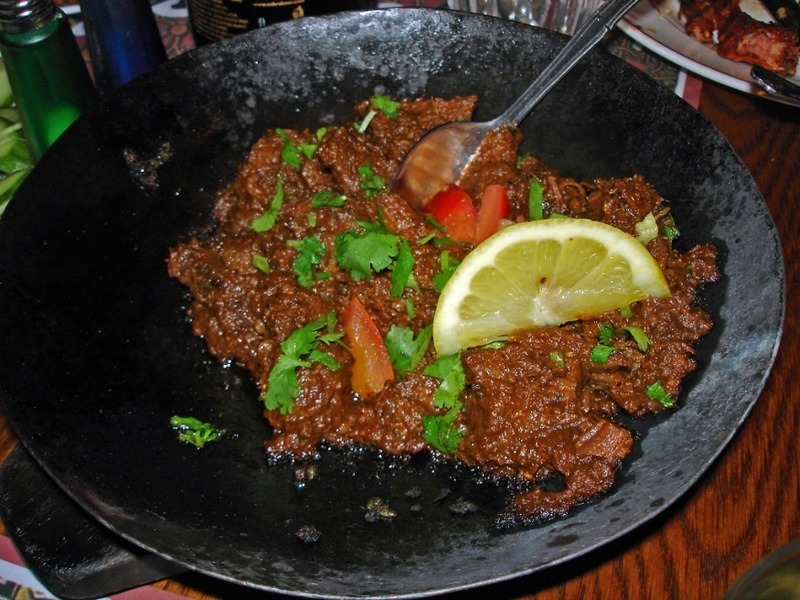 The famous dry meat at Whitechapel's Tayyabs. Photo by Su Lin on Flickr. From carefully created classic dishes with a modern twist to attentive service, this plush restaurant feels far too classy for the price. The catch? Well, it’s run by Westminster Kingsway College and staffed by their cheffing and hospitality students. If that puts anyone off then all the more space for the rest of us. The students are overseen by pros at all times and our experience is that it’s a pretty slick operation. Training chefs who have done stints at the college in the past include Jamie Oliver and Ainsley Harriott, so you never know whose food you could be eating. Mains are in the region of £10-£12, starters and desserts £5-£6. Where else would you recommend for wallet-friendly dining? Can you suggest any more restaurants where you can eat for under £20? Please let us know in the comments below.